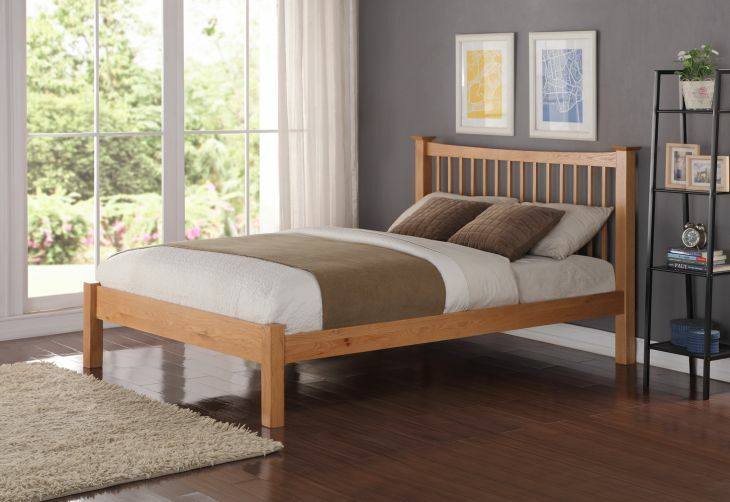 The Aston is a stunning solid oak bed frame from Flintshire Furtniture. With a solid yet understated look, this solid American Oak bed frame is a beautiful piece of furniture with a sprung slatted base to provide extra support. This bed suits a UK Super King size mattress (180 x 200 cm).